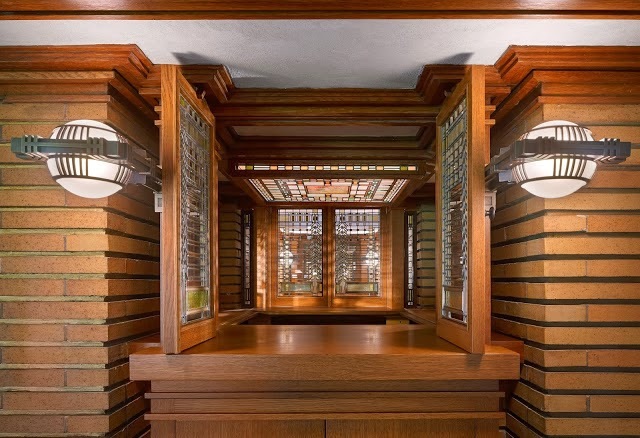 With the half-century anniversary of Frank Lloyd Wright's death and three recent books on the intrigues of his personal life (The Fellowship, Loving Frank and The Women), perhaps it was inevitable that a big-screen biopic would come next. "Driving Ms. Daisy" director Bruce Beresford will shoot "Taliesin," from a screenplay by Nicholas Meyer. The film will focus on - you guessed it - the lurid murders and conflagration at Taliesin (Spring Green, WI) in 1914. While I'm happy to assume the film is innocent until proven guilty, I'm proactively skeptical about two things: the casting of the figure of Wright (to be determined) and the movie's treatment of his architecture. The former could easily make or break the production. Who on Hollywood's A list (or any other letters of the alphabet, for that matter) could tackle the role? It may be tempting to imagine a British actor for the role, but inappropriate given the inherent importance of the American identity to Wright's story. The potential depiction of Wright's architecture is equally fraught with pitfalls. I will be pleasantly surprised if Meyer manages to make the buildings characters in their own right, as I think they should be. Wright anthropomorphized Taliesin in such a way that a powerful opportunity may be missed if the structure is reduced to a lavish set. So, I'll suppress my inner curmudgeonly critic for now and await the final product. At least it's not a musical...right?